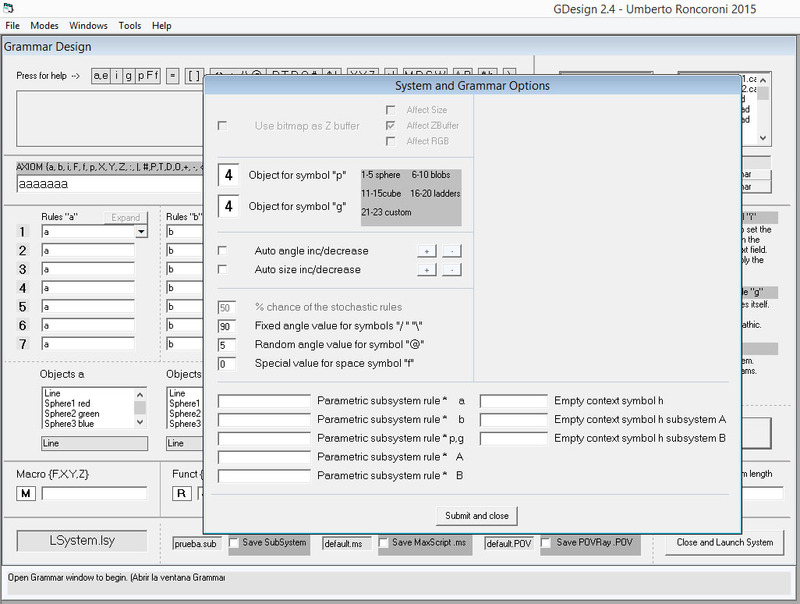 L-Systems Generator is 2D/3D modeling tool based on L-Systems and Cellular Automata. Originally written in Visual Basic for master thesis at PUCP, Lima, it has been developed in C# as tool for my university courses and as platform for research and experimentation with complex systems, fractals, natural forms, computational design, algorithmic architecture and music. The original application has been expanded with additional tools: L-SystemsADN, to edit, combine and generate new L-Systems using genetic metafors, and progL-Systems to transform L-Systems into a new programming language. A limited edition is downloadable for free. The complete C# edition is downloadable for 20 USD. Genetic L-System Exhibition at Artware6, Lima. Developing genetic editing tools.